The further you can hit it off the tee, the easier your approach shot to the pin right? Are an average golfer and looking for more distance from your swing? Good, we’ve distilled reviews from Amazon and top golf websites on the best golf balls for distance so you don’t have to. Getting distance off the tee is one way to improve your golf game and lower your score. Of course, distance is mostly reliant on the mechanics of your swing, but luckily, your equipment can help as well. If you’re a beginner golfer, you may want to check out this guide on the best golf balls for beginners. Compression – As an everyday golfer, your swing speed will probably fall into the slower range of around 90mph or less. If so, a ball with a lower compression will travel further off the tee. Anything higher than 90mph and you should consider a ball with a higher level of compression. Spin – If you add spin to a shot, naturally it will travel less due to increased air resistance. To improve your distance off the tee, aim for a golf ball with low spin characteristics. Now that we understand some of the theory, let’s take a look at the some of the best golf balls on the market to improve your distance. Practice wouldn’t hurt either, but I’m also lazy and would rather buy my way into some extra skins. Titleist golf balls certainly need no introduction. 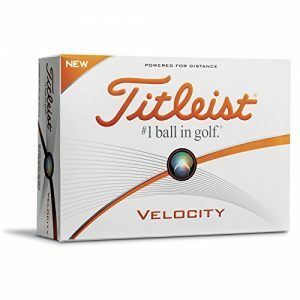 As the number one brand in the world, Titleist offers a ball aimed at longer distance named Velocity. Featuring a solid core, the fastest offered by Titleist, the Velocity LSX core technology adds distance to any club while still offering very consistent ball flight as well as feel during your short game. Core: Large and fast LSX core technology. Dimple design: Spherically-tiled 328 tetrahedral dimple design. 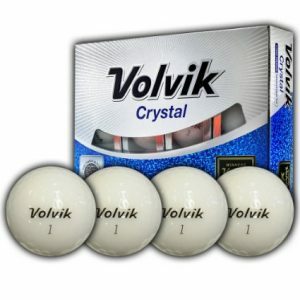 Available in a range of funky colors, Volvik Crystal not only looks good, but they also perform out on the course as well. The colors are not just a gimmick, they offer extremely high visibility, something every weekend golfer needs from time to time. These balls are a 3-piece with a unique dual core featuring a softer outer layer with a hard inner core. This significantly improves distance while still providing control for your short game. 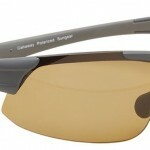 They are suited for golfers with slow to medium swing speeds between 60 to 90mph. This is a great ball for those with a higher swing speed. 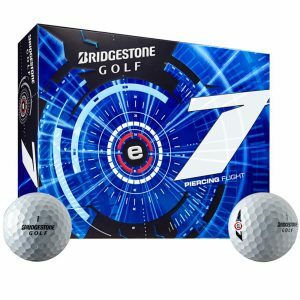 Featuring a 3-layer dual dimple design, the E7 gives you both an excellent trajectory as well as a high velocity, both helping to increase speed through the air as well as roll characteristics, all crucial to increasing distance. Another advantage of the E7 – it is far cheaper than many of its competitors. Unfortunately, what you gain in distance and price, you do lose in control, especially for your shorter game. 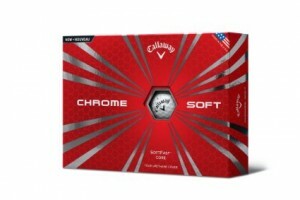 With the Chrome Soft, Callaway brings the only ball on the market using SoftFast Core technology. This offers very low compression which in turn increases shot distance without losing any feel during your shorter game. This ball is aimed at golfers with low swing speeds that don’t want to sacrifice control during their approach play. Of course, distance without the loss of control comes at a price, and the Chrome Soft will hit you in the back pocket. With a unique interlocking RZN core and Speedlock Technology, the Nike RZN Black guarantees extra distance by delivering more energy from each layer of ball construction. While distance is increased through stable flight characteristics, increased ball speed and a penetrating trajectory, control remains due to the relative softness of the core although excessive spin is eliminated. Bear in mind, this ball is targeted at players with faster, very controlled swings. It is used by professional golfers such as Rory McIlroy and Tiger Woods. Added distance at a low price – perfect for the weekend golfer! 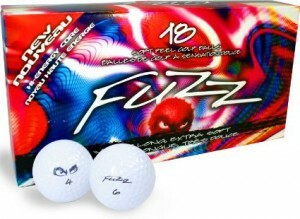 FuzzBall are 2-core balls specifically aimed at slow swing speed golfers, substantially increasing distance off the tee through their lower compression core wrapped in a 432 dimple cover. They still provide an excellent feel for your short game as well. Designed for golfers with slower swing speeds of around 70mph and upwards, the 2-piece Srixon Soft Feel is a low compression ball utilizing a super soft core. This allows you not only to hit higher but further as well while still maintaining control thanks to the soft center core of the ball. An Ionomer covering also helps to increase ball speed. 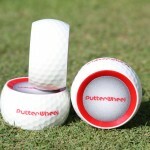 Not only that but alignment arrows painted on the ball will help out on the green as well when lining up your putts. This 2-piece ball is designed with distance hitting in mind. 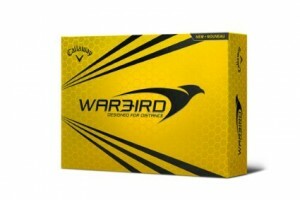 Constructed of a large, soft core and covered in the signature HEX dimple design used by Callaway, the Warbird offers reduced drag, consistent flight paths, and faster ball speeds which only lead to one thing – far more distance than ever before and at a very reasonable price. Produced using multi-component technology, the 2-piece Nitro Ultimate Distance golf ball comprises a reactive titanium core. This helps to maximize the energy of your swing, transferring it from the club head to the ball in a very efficient manner, especially off the tee. Furthermore, an effective dimple design helps improve lift. That said, even with your irons you will hit the ball longer while keeping the necessary control for your shorter game. Designed with amateur level players in mind, the TaylorMade Project (a) aims to help increase distance without losing any control for shots closer to the pin. It features a REACT core which means the ball will fly off your driver at a faster speed while SpinMantle technology means consistent spin. Of course, this comes at a price, and while not as expensive as Pro Tour level balls, Project (a)’s are more expensive than the golf ball an amateur golfer would ordinarily use. 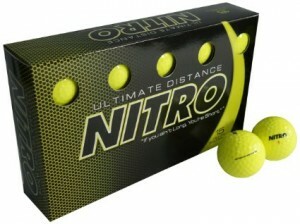 These are some of the best balls for distance available. If you would like to get more distance off the tee and help to lower your handicap you may want to consider them. Each has their pros and cons, and ultimately, it is up to the individual to make their choice as to which they prefer. A very good idea would be to try them out at your local golf shop, narrowing your options down before picking a few dozen. If your driver goes under 210 yards and a 7 iron goes under 140 yards, your swing speed is under 85 mph. If your driver goes 210 yards to 250 yards and your 7 iron goes 140 to 150, your swing speed is approximately 85 mph to 95 mph. If you drive the ball over 250 and your 7 iron goes over 150, your swing speed is most likely over 95 mph. Looking for other similar guides? Check out our list of the best golf balls for women and the best golf balls for beginners. You probably don’t think much about what the contributing factors are when talking about ball flight, trajectory and distance. These factors are worth understanding, if not for interest sake, but for gaining all the knowledge so that when it comes time to shop for some new gear you know what to look for. Let’s talk about three of the biggest factors that affect ball flight and distance; spin, golf ball layers and compression. Low spin golf balls are balls which, obviously, don’t spin much during the air. This is great for reducing slice and hook off the tee, which occurs there is an error in swing and there is sidespin generated on the ball, causing it to swerve (sometimes sharply) left or right of the intended target in the air and continue to move in the direction when it hits the ground. Low spin balls may not necessarily travel further in the air, but instead will get a lot more distance on the ground as it continues to roll due to the lack of spin generated on the ball. 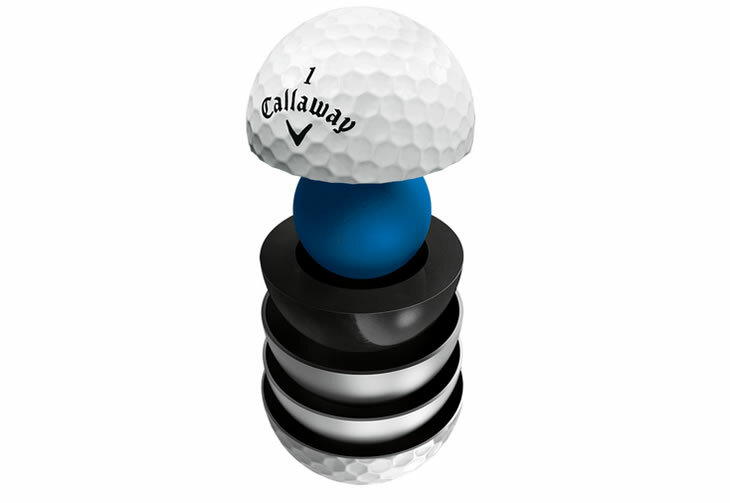 Mid spin golf balls are balls which are a bridge between high and low spin balls. They offer decent feel off the clubface and some level of control on the greens. These balls are for the player who wants the best of both worlds, without focusing on one or the other. High spin balls are balls which generate maximum spin off the clubface and into the air. When a ball is hit well, it produces backspin which launches it into the air and increases carry. High spin balls promote that and will result in longer ‘air time’ but reduced roll once it hits the ground. High spin balls also promote sidespin and can exaggerate a slice and fade, so it is not advisable for a hacker to use on of these balls as chances are they will spend most of the day looking for their ball in the woods. The greatest advantage of the high spin ball is undoubtedly it’s work around the greens, being able to be stopped on a dime on the green, instead of rolling past the target, across the green and over the other side. A ball with lower amounts of backspin (controlled by the loft of a club + type of ball being used) will have a lower ball flight than a ball being launched with a lot of backspin. That is why when you turn the TV on and watch the pros you will see them spin their short irons viciously and not so much with the long irons and woods. The way a golf ball is made is a huuuuge factor in how it reacts to being hit by a golf club. Golf balls are made with either 1, 2, 3, 4 or 5 layers, depending on the type of ball (and the price!). piece balls are made with a solid piece of Surlyn with dimples molded in. It’s durable and relatively soft, but it’s biggest pro is that it’s cheap! One piece balls won’t travel very far due to their low compression (we’ll get to that later!) so it’s best if you stay away from them in terms of playing. A round. The two piece golf ball is the most common golf ball among ordinary, everyday golfers, as it marries distance and durability together with an affordable price tag. 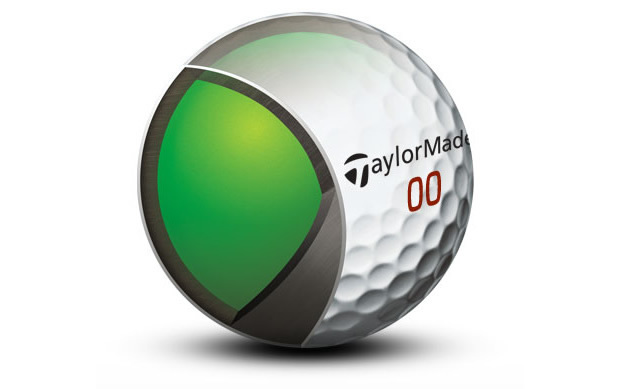 The two piece ball is typically made with a high-energy acrylate or resin and a cut-proof cover which provides more distance than any other balls, however you will sacrifice significant spin and feel around the greens with these balls as they will continue to roll once they hit the ground. Three piece balls are constructed with either a solid rubber or liquid core, a layer of enhanced rubber or a liquid-produced layer and a molded a cover of durable Surlyn, Urethan e, or balata-like material. The three piece ball offers large amounts of spin when compared to the 1 and 2 piece balls, with the general rule of thumb being the more layers you add to a ball the more likely it is to spin. The four piece ball is cleverly designed, with each of the four layers bringing something different to the table, and when combined they offer a long hitting, soft feeling golf ball. The inner core of the ball is a solid rubber center that is included to offer bone-jarring distance and power off the tee. T he second layer is designed to transfer the energy from the strike to the hot core of the ball. The third layer is the difference between the three piece ball and the four. This layer is included to maximize drive distance whilst still promoting mid iron spin and feel around the moss. The ‘feel’ of the ball on the clubface is achieved through the outer cover, or the fourth layer, which is made from urethane and contains between 300-400 dimples, ensuring that the ball is durable enough to get through a round, yet soft enough so that the golfer enjoys the feel off the clubface, all the while producing pleasure distance results. The five piece ball is the latest weapon produced by golf ball manufacturers, and like the 3 and 4 piece balls, the five piece ball can use more materials and layers to offer more spin separation and performance benefits. urethane cover for a great feel off the clubface. Each layer is included for a reason, and will react to different shots and swing speeds to ensure that distance, spin and control is optimized no matter what situation you find yourself in. You may have heard the word compression thrown around golfing circles but what does it mean and why should you care? Firstly, let’s define what compression is. Compression is a measure of the deformation a golf ball undergoes when it is struck. It’s measured between 0 and 200, with 200 being a ball that does not compress and a 0 being a ball that deflects 5mm (1/5th of an inch) or more. Most golf balls range between 50 and 100 in compression. In more basic terms, the lower the compression, the more a ball deforms upon impact with the golf club, and the greater area of the ball that comes into contact with the face of the golf club. Generally speaking, a ball with a compression rating of 90 or above is used by low handicap golfers. The golfer using a high compression ball must hit the ball harder to get distance, but this ball also offers greater spin and feel around the greens as well as a higher ball trajectory. For novices and beginners, it is recommended that a ball with a compression rating of 70 or 80 be used, as it will reduce the instance of wild slice and hook and instead promote long distance. The other variable to consider when choosing a compression rating for your next ball is your swing speed. Generally speaking, a slower swing speed is more suited to a lower compression to maximize distance and take advantage of the spring like effect off the club. Similarly, a faster swing speed requires a higher compression which will mean the ball will not compress as much and giving the golfer more control over the ball. As golfers, we’re all looking for a few extra yards, in particular off the tee. If you’re a weekend hacker, chances are it will be a constant struggle hitting a green in regulation on a 400+ par 4 unless you have a powerful drive. So the temptation is always to look to your equipment to get as much distance as possible, and often your ball is a cheaper alternative than buying a brand new driver in the hunt for that extra 20 yards of length. But what are you really giving up by using a ball that is built for distance? There are a lot of two-piece balls on the market today that are geared towards distance and made with lower compression. They normally sell for around $20 a dozen and will probably include the word ‘distance’ in their name (duh). These balls are made with minimal spin in mind. That means lower spin off the tee as well during pitching and chipping. The good part in all that is a ball that doesn’t spin much minimizes the slice or hook off the tee, as these common faults are a result of the club imparting side spin on the ball, causing it to slice or hook out to the left/right. But it’s not all good news. When you reach for a distance-optimized ball in your bag, you have to be prepared to live with the reduced touch and feel around the greens that you get with a low-spinning ball. Tour professionals the world over will tell you that the single quickest and easiest way to knock shots off your game is to improve your short game. You may not be able to hit a green in reg. from 150+ yards out on a regular basis, but if you can consistently chip and stop the ball within 6 feet of the hole you’ll give yourself some fantastic looks at par, and for a weekend warrior that is a great way to approach the game. This is where the a spin-optimized ball comes into it’s own. Whilst you may sacrifice a few yards off the tee and possibly some accuracy, a high-spinning ball with high compression has the ability to make up the shots on the dance floor by generating the spin off your irons that will allow the ball to stop on a dime on the green. The less expensive, two-piece distance balls are more likely to find the fairway off the tee, but may not ‘bite’ the way you want them on the green, resulting in a need for a lot more ‘bump & runs’ instead of chips. Another trade-off you have to live with when you opt for a built-for-distance ball is feel off the clubface. By far (70+% of golfers, in fact) the most coveted characteristic of a golf ball is a soft feel off the clubface. Golfers don’t want to feel like they’re hitting a rock when they’re striking the ball, and this is the case for tour pros or the weekend golfer . A high compression ball will feel softer off the clubface and that’s often most pleasing for the golfer. However, with today’s technology, the gap between ‘hard’ and ‘soft’ golf balls is reducing, meaning that even if you do find that distance ball that gives you the length you cover off the tee, chances are it still offers a pleasant feel off the clubface too. As much as we all want to be teeing up a brand new, shiny $5 Pro V1 ball every time we step into the tee box, we know that in reality that might not be the best option for our bank balance, especially if you’re like most of us and chew through multiple balls a round, thanks to out of bounds and the dreaded lakes and water hazards, which seem to possess some form of powerful ball magnets. A popular alternative to using new, pricey golf balls every round is the used or lake balls that you can buy in bulk from your local golf store or pro shop. But do you know what you’re really getting in terms of performance from a lake ball? How does it stack up against a new ball? A study has shown that after 12 hours submerged in water, a golf ball begins to allow water to enter the ball from it’s outer layer. This is primarily due to the layers of the multi-layer golf ball that we see in the modern game being made from urethane and UPC materials. Whilst invisible with the naked eye, the true damage to the ball is to the core of the ball. But how does that affect the ball off the tee? Further studies have shown that after one week in the water, lake balls will lose 5-10 yards in distance off the tee. If the ball spends 3 months as fish food (probably as a result of another sliced drive), that distance loss off the tee increases to 20-30 yards. Now, there are a few ways you can look at this. Some people will think “woah, 20-30 yards is HUGE!” while the others will be thinking “that’s all?” – the truth is that the answer lies somewhere in between. For a weekend hacker, forking out almost $5 a ball for a new Pro V1 only to lose it within a handful of holes is not a sound option, and you would gladly sacrifice 20 or so yards on a drive if it means you save $15-$25 a round. For that reason, for a bucket of 50 recycled lake balls may be your best bet. If you’re a single handicapper looking to find any little advantage you can get, maybe you can stick to the new balls. When we stand over our ball ready to hit that ‘trigger’ shot – hopefully onto the green to give yourself an opportunity of birdie – you probably don’t even give a thought about those little dimples covering the very same ball you’re hoping enjoys a smooth path to the dance floor. But if you’ve ever wondered why golf balls have dimples, today is your lucky day. Let’s begin by going for a walk back in time over a century ago, when golf balls were just as smooth as the scotch awaiting the golfers in the club house. During the late 19th century, golfers discovered that their golf balls would regularly travel further after it had been scuffed up (from a tree, rocks or even just normal wear and tear). They didn’t know how or why, but they knew their had to be something to it – and they were right. Shortly after, the dimpled ball was patented, and when David Stanley Froy used the ball in the Open at the Old Course in 1900, a revolution had begun. So if we were to put it in simple terms – dimples on balls make the ball travel further. But what’s the science behind it? During the air, the biggest aerodynamic force at play that affects distance is drag. So what about it? And how is drag minimized? To understand the effect drag has on the ball and how the dimples mitigate that, we first need to understand the difference between laminar and turbulent air flow. By transitioning the air flow from laminar to turbulent, the dimples cause the air to remain attached to the surface of the ball, resulting in a lower vortex and less drag compared to the smooth, dimple-free ball. Essentially, the dimples are just a symmetrical way of disturbing the air flow around a ball in flight. So there you have it. Next time you’re standing over that 6 foot putt trying to scramble for par, you can rest easy knowing you at least know what those dimples you’re looking at are for, though I wouldn’t recommend thinking about laminar vs turbulent during your stroke!